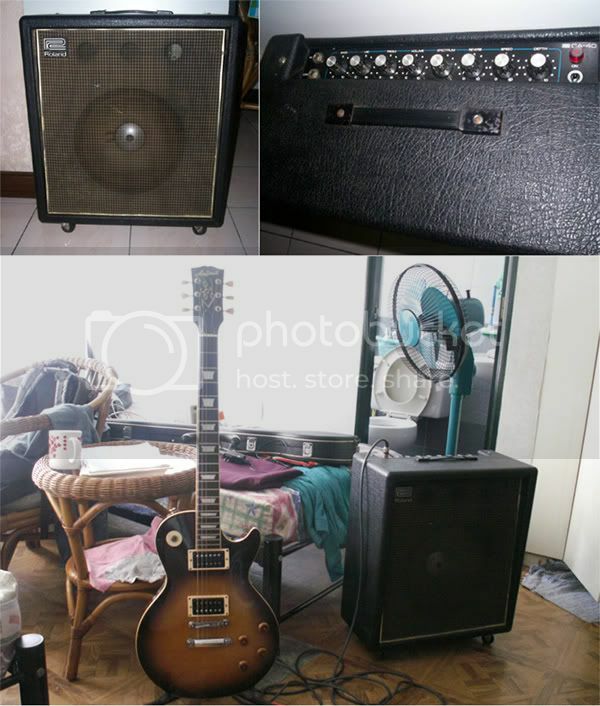 pagkatapos nun lagi akong hinu-hunt ng tunog nya, i eventually gave up at binili ko na rin... now it's my no.1 amp. 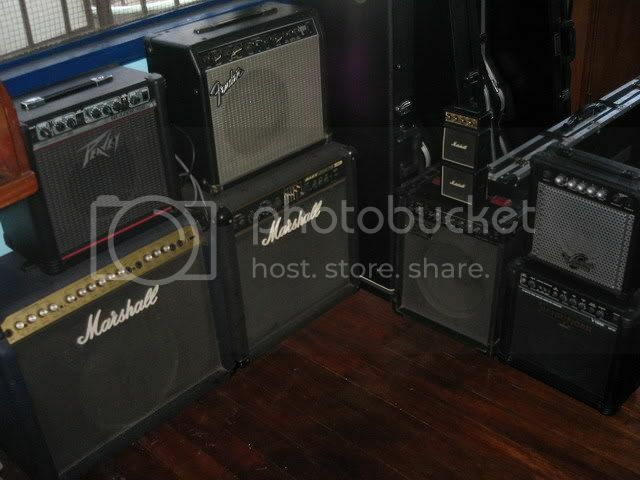 the peavey gone and the deville just lying in the instrument room sa church(nways di naman sa akin yung deville). the only sideback is wala syang master volume, so if you want to crank it, you gotta put alot of volume. but i dont miss the master volume though, kapag jam kami at hindi naka mic ang amp i just crank it up for od sounds, pag nag p perform kami i just use a clean tone at gamitan ko nalang ng od pedal. the two channels work very fine, tone heaven talaga, but i prefer combining them thru a patch cable. 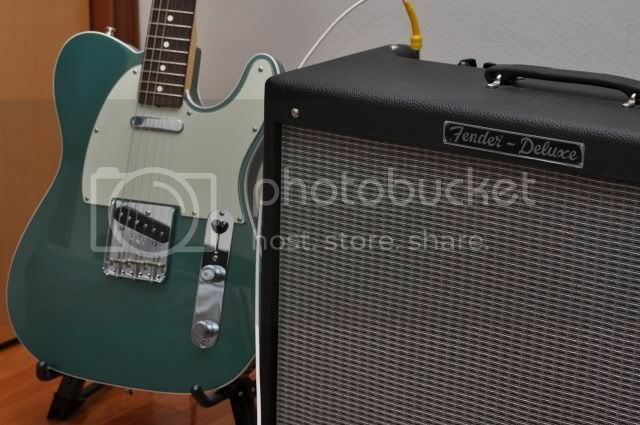 i could get any sound that i want... the tremolo effect is nice too but i don't use it that much. wow bluesbreaker amp! dream amp ko yan. its supposed to get that plexi tone right? btw, what type of fender is that you have there? sir... what are the three holes on top of the speaker? are those small speakers? saan kayo sa pampanga, mga katoto? if you ever fall out of love with your bluesbreaker, benta mo sa akin... presyong adik ha! ok ba clean nya pare? parang jc series din eh.. I'm so going to love this thread. Will post pics this weekend. 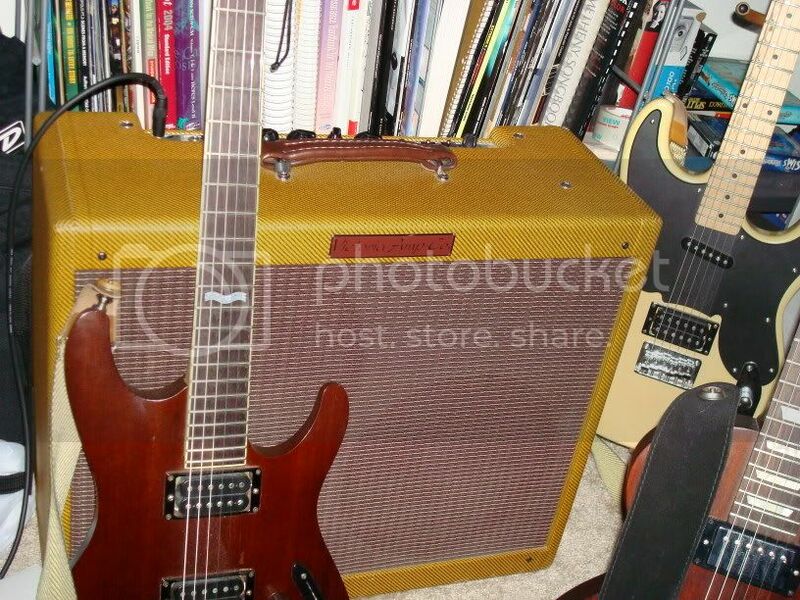 I play the K&M (through a 2x12) much more than I do the Diezel. Bumibigay yung 2x12 ko sa Diezel and wala pa akong makuhang matinong 4x12. 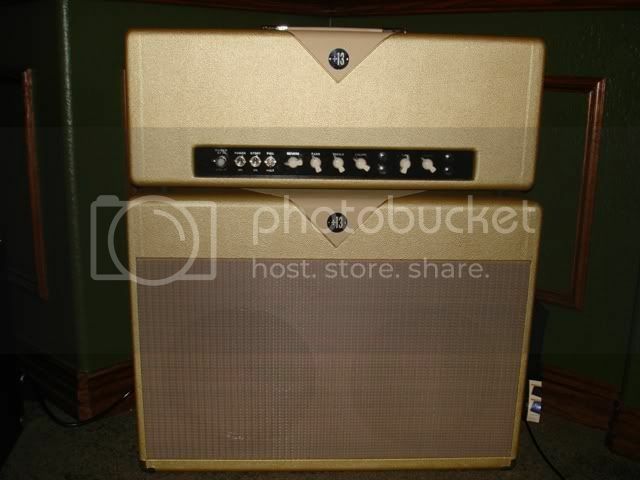 The K&M is supposed to be a very good Dumble clone. I have no idea though if it does or does not sound like a Dumble. I just like the way the darn thing sounds. I loved this monster. Yun nga lang, it was just way too loud. Walang master volume. Sayang... I couldn't play it at all at night when the kiddos were asleep. 37 watts but it was LOUD! Eto mga amps sa bahay. Simple lang mostly low wattage SS amps. I got my Laney VC30-210 last May. 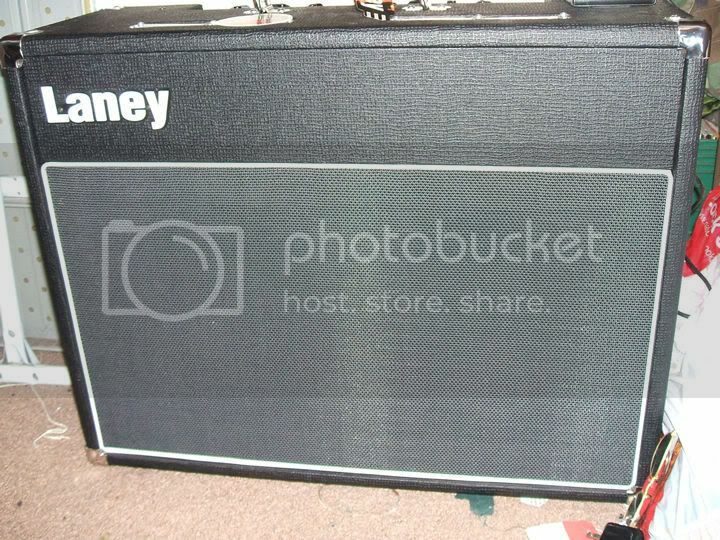 I love the glassy clean tones on this amp. It's perhaps the closest thing to the clean tone that I've ever imagined. 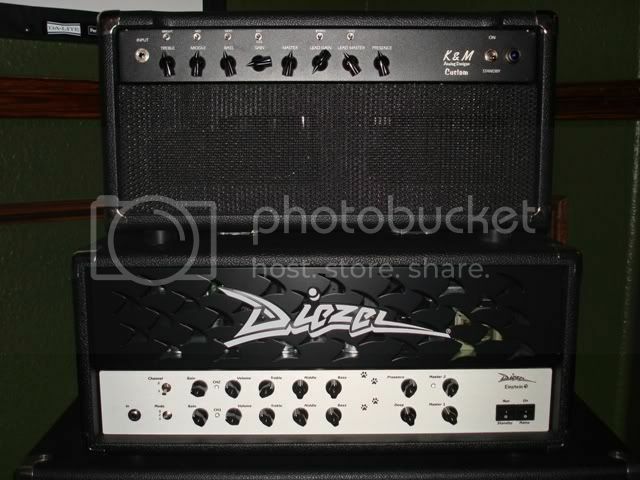 This amp is great with pedals as well. 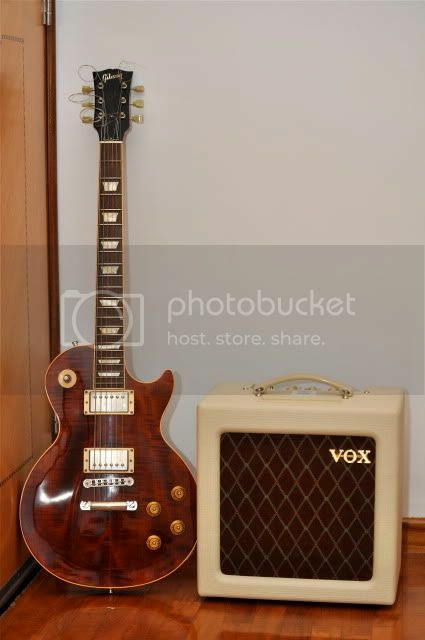 Interestingly enough, a few weeks before I picked this baby up, I saw Boz Boorer from Morrissey's band using the very same kind of amp onstage and was blown away by the 70's rock tones he pulled out of this machine. I'm a happy camper to say the least.